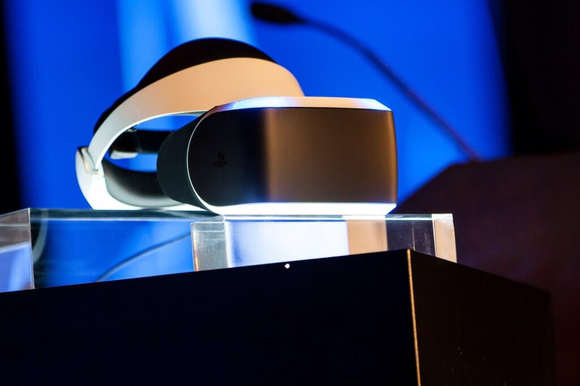 Game Developers Conference, San Francisco—One of the worst-kept secrets in the games industry is now confirmed: Sony is indeed creating a games-oriented virtual reality headset for the PlayStation 4. The company announced the fruit of its labors at its "innovation"-themed GDC panel Tuesday evening. Sony's VR system is called Project Morpheus and features a 1080p display, a 90 degree field of view, built-in audio (though there is support for external headphones), and full 360-degree head tracking. Morpheus also apparently accommodates for people who wear glasses, though I'm unsure how. Sony was clear that the current version of Morpheus is strictly a prototype, seemingly indicating the headset is still a ways away from mass-market; its release date is just as nebulous as the Oculus Rift's. Will Sony follow Oculus's lead and add positional and spatial tracking to Morpheus prior to launch? Your guess is as good as mine. EVE: Valkyrie, the hotly-anticipated Oculus Rift space dogfighting launch game, will also be coming to the PS4 and Project Morpheus. Valkyrie Developer CCP has revealed its co-publishing deal with Oculus is PC-only. Sony will also be showing off a Morpheus-supported demo of Thief at GDC this week. A rendering of Project Morpheus. After using the Oculus Rift I had no doubt that virtual reality is the future of games, but Sony's move is a bit odd. Had the headset launched alongside the PS4 it would've made the console more expensive, perhaps negating some of Sony's edge over Microsoft's pricier Xbox One. By launching Morpheus in the midst of a console generation, however, Sony's headset becomes an extraneous peripheral for the PlayStation 4—similar to the first-generation Microsoft Kinect for the Xbox 360. And like the original Kinect, it's hard to know whether developers will embrace the tech when they can't count on anyone owning it. Even now, a year after dev kits went out, very few full-AAA games support the Oculus Rift. Most Oculus Rift "games" are demos or small slices of game that are built for the novelty, with exceptions like Elite: Dangerous and EVE: Valkyrie few and far between, and (more importantly) unreleased to the public at large. Sony has at least been fairly open with its console, allowing indie developers to self-publish games. Perhaps they'll also be open to a flood of tech demos and novelties until full-scale titles start to arrive for the VR tech. It's still up in the air, though. We'll get our hands on the set at GDC and compare it to the benchmark for all headsets at the moment: the Oculus Rift Crystal Cove prototype. It's impossible to really know what any of these headsets are like until we've tested them out in person. Will it make us sick? Will our eyes melt in some sort of horrific Raiders of the Lost Ark nightmare? Will it be the most incredible experience in the history of experiences? Stay tuned for the answers to those questions and more later this week, once we've had time with Project Morpheus. Updated on March 20 with a video from IDG News Service. 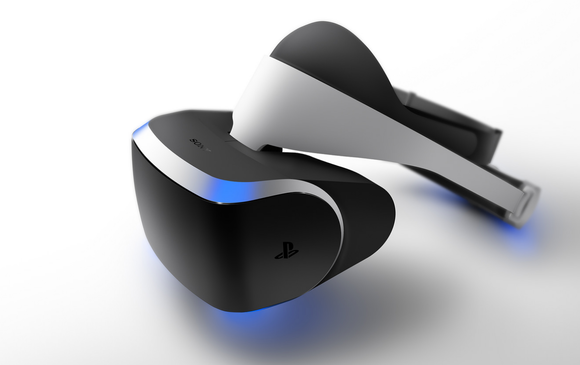 This story, "Meet the Project Morpheus VR headset, the PlayStation 4's answer to Oculus Rift" was originally published by TechHive.